My family doesn't like to eat vegetables, but they beg for seconds with this recipe!!! 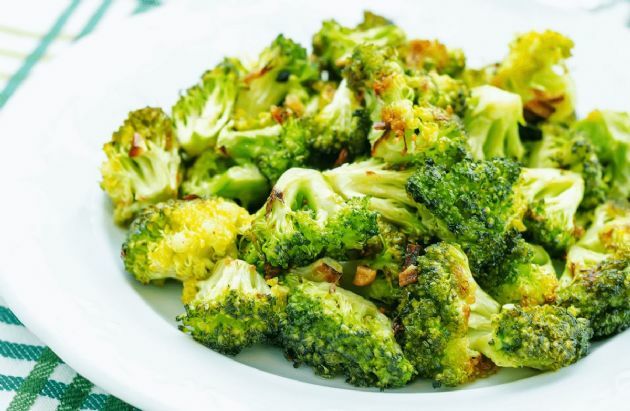 This gives broccoli a wonderful, nutty flavor that everyone will love. My family doesn't like to eat vegetables, but they beg for seconds with this recipe!!! This gives broccoli a wonderful, nutty flavor that everyone will love. Mix together the olive oil, chili powder, garlic and salt in a bowl. Add the broccoli and toss to coat. Place on a cookie sheet and roast for 20 - 30 minutes at 425 degrees. Broccoli should be browned and sizzling. It can be flipped halfway through cooking, but not necessary.